The temperatures are rising, daylight is lasting longer, and we’re all anxious to get outside more. Spring is just around the corner, which means there’s no better time to start home maintenance chores than right now! Too often, homeowners wait until a problem can no longer be ignored before addressing it. 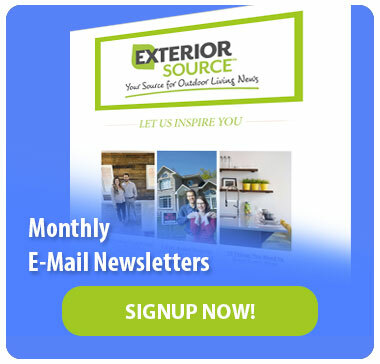 Unfortunately, with hot weather on the way, many home contractors are already booked by that time. We recommend getting a jump-start on inspecting your home for spring so you can make the necessary changes and repairs now and enjoy your free time later! Your gutters and downspouts work hard during the spring. If they’re clogged with leaves and debris, they can cause rainwater to back up, potentially leading to wood rot and pest infestation. 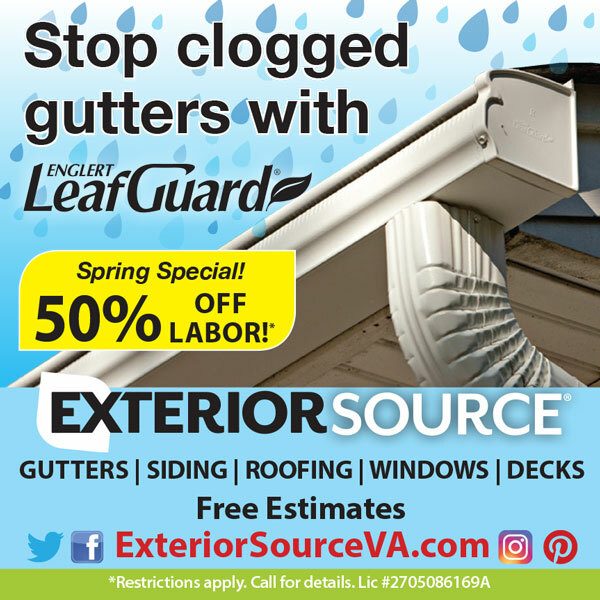 Instead of spending hours cleaning out your gutters this spring, install LeafGuard gutters that come with a debris-shielding hood and never have to be cleaned. At Exterior Source, we custom make each LeafGuard gutter system to fit the look and feel of your home. Not only will your home look better, but also you’ll never have to worry about clogged gutters again! Termites get busy in the spring! It’s always a good idea to inspect the woodwork around your home for any existing damage or signs of termites at work. By spotting them quickly and having it professionally treated, you’ll save yourself lots of money and headache in the long run. Winter can have a heavy toll on your roof. As spring approaches, take some time to visually inspect your home’s roof for missing shingles, storm damage, or anything that simply doesn’t look right. If you’d prefer to have a more in-depth inspection done, call a certified roofer to take a closer look. The start of summer is when many homeowners switch on their air conditioning only to realize there’s a problem. Schedule your air conditioning maintenance in the spring and beat the rush! Once the hot Virginia weather arrives, you’ll be glad you did. Inspect your siding for any signs of damage or water stains that emerged over the winter. Damaged siding can greatly affect the efficiency of your home and shouldn’t be ignored. The good news is it can easily be fixed through vinyl siding replacement or repair. The seals around your window are the first line of defense against air infiltration. Check the windows of your home for air leakage and seal damage. You may want to consider vinyl replacement windows to increase your home’s energy efficiency factor. Nothing says spring like a fresh, new entry or patio door. Spruce up your home’s exterior this spring with stunning replacement doors by ProVia and greet your guests with the finest craftsmanship available. Best of all, ProVia doors are Energy Star compliant and NFRC certified, which means they not only offer security and performance, but they also come with expert installations and lifetime warranties.